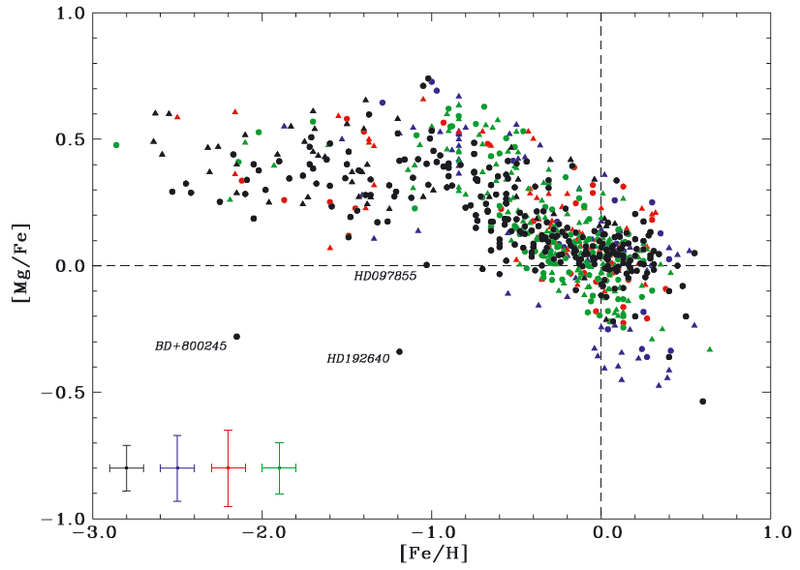 Stellar Populations and Dust in Early-type (E/S0) Galaxies. Populations of stars in galaxies can tell us a lot about the formation and evolution of galaxies and their various structural components. Spiral galaxies are complex systems, with multiple components including disks, bulges, bars and spiral arms, whereas spheroidal galaxies such as dwarf spheroidals and dwarf and giant ellipticals are dominated by a single structural component. Early-type galaxies consist of elliptical (E) and lenticular (S0) galaxies that generally have lower levels of on-going star formation than spiral galaxies. However, exactly when their stars were made is hard to uncover. In most external galaxies we cannot resolve individual stars, but instead we observe the light from populations of stars. Unravelling the information contained in this composite starlight requires high signal-to-noise spectroscopic observations, combined with state-of-the-art models of stellar populations. Bringing these components together is research carried out by Anne Sansom (see her internal page ), a senior lecturer in the JHI, working with international collaborators in Spain and Brazil on the MILES consortium (see http://miles.iac.es/) . This interface between stars and galaxies involves observations and analysis of stellar spectra, with the aim of making accurate predictions from the resulting libraries of star spectra and parameters. An example showing elemental abundance patterns measured for individual stars in the MILES library is shown in Figure 1. This shows the ratio of magnesium-to-iron abundances versus their iron abundances, as measured from optical spectra of stars within our own Galaxy. Stellar libraries, such as MILES, are currently being investigated for the best ways to accurately mimic different environments in external galaxies and so produce accurate predictions for simple populations of stars. These predictions can be combined according to a star formation history and fit to composite light spectra of unresolved populations of stars in external galaxies to reveal when the stars were made and the abundance patterns of heavy elements, produced by different types of supernovae during their lifetimes. In this way the mystery of galaxy assembly is being uncovered. 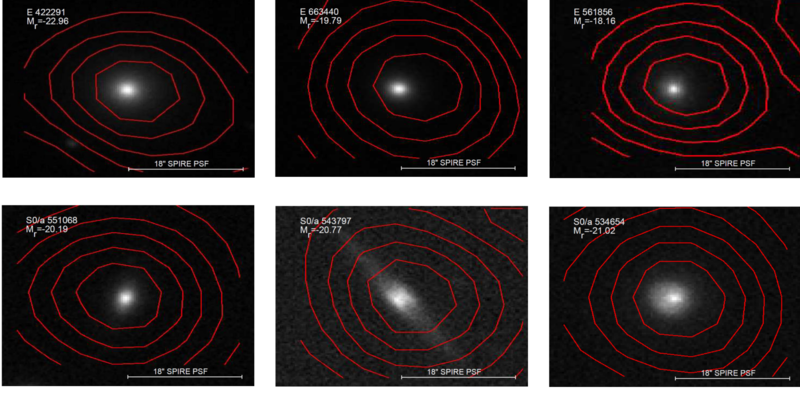 As an example of one galaxy being studied, spectroscopic data from the Robert Stobie Spectrograph on the SALT telescope (see http://www.star.uclan.ac.uk/~aes/SALT/index.html ) is shown in Figure 2. Figure 1. [Mg/Fe] abundance ratio for stars in the MILES stellar library. Measured from high or medium resolution spectra (Milone et al. 2011, MNRAS, 414, 1227). This pattern of magnesium- to-iron element abundance ratios, shown on logarithmic scales for individual stars of low to high iron abundance ([Fe/H]), reflects the history of when and where they were made in our Galaxy. The Sun is located at (0,0) on this plot. We can use such well characterised stars to interpret the spectra of galaxies for which we only see the composite light from unresolved star populations. Figure 2.Blue spectrum of an early-type galaxy (NGC 59) containing young stars, obtained with the Southern African Large Telescope (SALT). This plot was made by Michael Deakin, a 3rd year Mathematics student at UCLan, during a summer internship supervised by Anne Sansom and funded by the RAS. Anne Sansom and others at UCLan are members of a large collaboration called GAMA (Galaxy and Mass Assembly, see: http://www.gama-survey.org/ ), which is uncovering the statistical properties of galaxies of different types and in different environments. 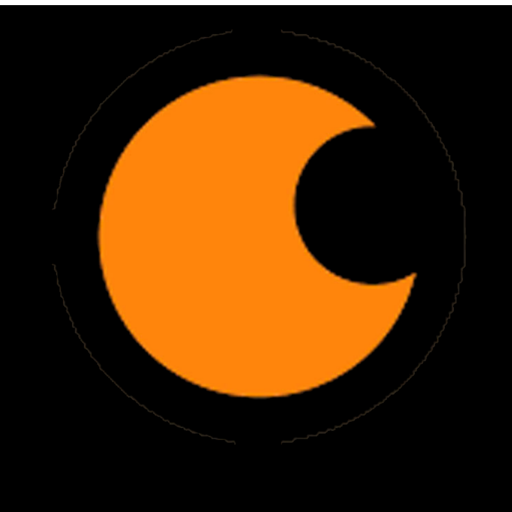 Members of the team based at Durham University have made some movies of the distribution of GAMA galaxies in the local Universe (see http://astro.dur.ac.uk/~ams/GamaMovie/GAMA2.html ). 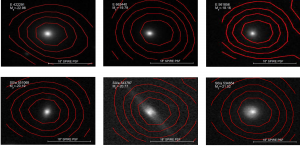 Multi-waveband imaging, spectroscopy and a host of derived measurements are available for these galaxies to help us understand the properties of their stellar populations and when they were formed. Another survey, with the Herschel Space Observatory is identifying the properties of these galaxies at sub-millimetre wavelengths. PhD student Nicola Agius (see: http://www.star.uclan.ac.uk/~nka/index.html ) is using results from these Herschel-ATLAS (see: http://www.h-atlas.org/ ) and GAMA surveys to help constrain the amount of dust and star formation in a large sample of E and S0 galaxies – see Figure 3 for some example images. The amounts of dust being found exceed expectations and are correlated with the UV-optical colours, indicative of on-going star formation in these early-type galaxies; which were formerly thought to contain little or no dust and star formation. Figure 4 illustrates some of these results. Figure 3. Examples of early-type galaxies studied in GAMA and Herschel-ATLAS surveys. The optical light is from red, blue and green combined GAMA/SDSS images of 3 elliptical and 3 lenticular galaxies. Superimposed contours represent the 250 m Herschel SPIRE detections of the same galaxy and point spread function sizes are shown. 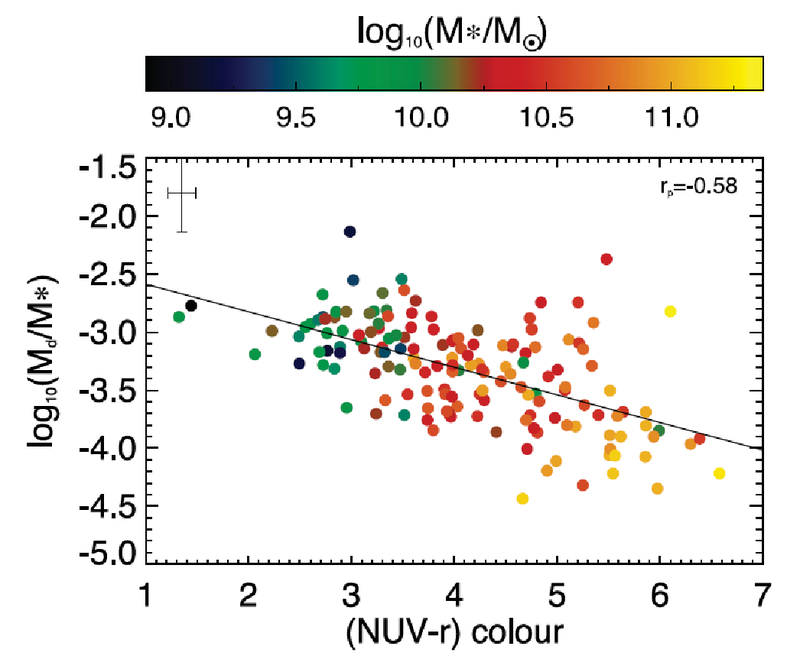 Figure 4.Correlation between dust-to-star mass radio (Md/M*) and GALEX near UV-to-optical colour (NUV-r). 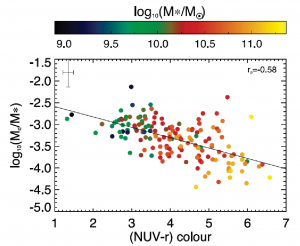 Galaxies of different stellar mass are denoted by their colour. This plot shows that bluer colour and higher dust-to-stellar mass ratio preferentially occurs in less massive galaxies (Agius et al. 2013, MNRAS, 431, 1929).